For use on windows, doors, roof-light hatches, top boxes, garage compartments & lockers. The sensor and the magnet must be fastened respectively to the fixed part and the moving part of the door or window that opens into the area to be protected (for example on the door jamb and on the door of a room or on the window jamb and the part of the window that opens). The theft attempt is signalled by a magnetic contact (reed switch) . 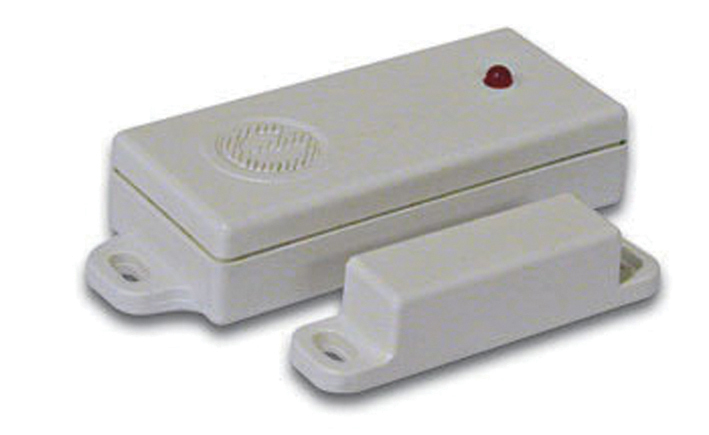 When the magnet is close to the sensor (door or window closed), the reed switch is ‘closed’ and the radio transmission is deactivated. When there is about a 2 cm gap between the magnet and the sensor (door or window open), the reed switch is ‘opened’ and activates the radio transmission to the Gemini alarm system fitted on the vehicle.